IBM is rolling out new systems and solutions to help enterprises and managed service providers (MSPs) to build private and hybrid clouds . Building on its recent acquisition of SoftLayer, IBM said its is bringing new integrated capabilities to accelerate cloud adoption for business transformation. The rollout includes new PureSystems, Power Systems, Smarter Storage Systems, System x, and Technical Computing offerings that provide the flexibility clients need to quickly deploy clouds. IBM noted that its now has more than 100 cloud Software as a Service (SaaS) solutions and a network of more than 25 global cloud delivery centers. Since 2007, IBM has invested more than $6 billion in acquisitions to accelerate its cloud initiatives. "IBM is uniquely positioned to compete aggressively for public, private and hybrid cloud computing opportunities," said Tom Rosamilia, Senior Vice President, IBM Systems & Technology Group and Integrated Supply Chain. "The new IBM Systems and solutions provide superior efficiency and agility to help clients quickly deploy the right cloud infrastructure that best meet their needs." 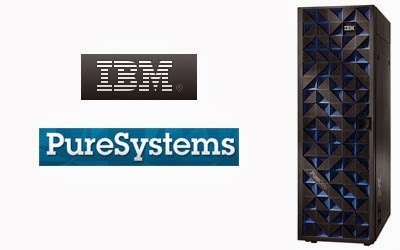 IBM PureSystems -- including two updated PureFlex configurations - PureFlex System - Express and PureFlex System - Enterprise. The PureFlex System - Express, available as a single chassis configuration, offers an affordable entry price point suitable for SMBs and departmental deployments in larger enterprises. The PureFlex System - Enterprise with highly available multi-chassis configurations is designed for scalable cloud deployments with built-in redundancy for resilient operation. Both systems support choice of POWER processor and x86-based compute nodes. The PureApplication System for simplifying and accelerating cloud applications is now available in smaller, 32 or 64-core configurations on POWER7+ with enhanced performance, density and resiliency. Since its launch last year, IBM has shipped more than 6,000 Pure Systems in over 100 countries, including to many managed service providers who are using the systems to deliver cloud infrastructures for their clients. New PureSystems configurations for big data and analytics -- PureData System for Analytics has a new cost-effective entry model, powered by IBM Netezza technology that enables business to gain insights on ever growing volumes of data. PureData System for Hadoop enables big data exploration in areas like social and text analytics. New Power Systems Solution Edition for Service Providers -- a pre-built, pre-installed cloud solution that is based on OpenStack support for SmartCloud Entry and PowerVC. The Power Virtualization Center product, IBM PowerVC , offers virtualization and management capabilities that can improve system resource efficiency and agility for virtual workload implementations. The new IBM PowerVP is a virtualization performance tool that helps clients respond to business needs faster by providing real-time insight through a graphical display. It enables further optimization of virtualized systems and helps identify potential performance bottlenecks. New Power Integrated Facility for Linux -- each Power IFL is comprised of four processor activations, memory activations and PowerVM license entitlements. With Power IFLs, clients can quickly activate capacity for Linux applications without interruption. And with PowerVM included, clients can accelerate response to changing priorities without incurring extra virtualization software licensing fees. New IBM BLU Acceleration Solution -- exploits POWER7+ processor-based technology for 8x to 25x faster reporting and analytics and 10x storage space savings. The solution combines IBM DB2 software with BLU Acceleration with dynamic in-memory columnar technology and Power Systems. New Storwize V5000 -- help SMBs tackle the data storage challenge. Positioned in the middle of the Storwize portfolio, the Storwize V5000 provides SMBs a flexible entry into the advanced management capabilities and performance of the Storwize family. The system can be configured with disk and flash, and supports IBM Easy Tier capabilities that automatically place data in the most cost-effective tier. The cloud-ready system, which comes with built-in support for OpenStack, can help clients build private and hybrid cloud storage architectures, while virtualization and clustering capabilities help them take advantage of true Software Defined Storage that grows and adapts with their changing businesses. New IBM System x3250 M5 -- designed for smaller business workloads and applications such as email, file/print and Web serving, and suitable for hybrid cloud environments. The compact uni-processor rack server offers double the storage capacity, twice the data throughput, 18 percent better energy efficiency and 10 percent memory power savings over the previous generation on the same size chassis. With the server's simple and flexible interface, clients can use IBM's Feature on Demand function to easily and remotely upgrade key features on the x3250 M5, without costly server downtime. New NeXtScale System -- a flexible computing platform with three times as many cores as previous one-unit rack servers. This new system incorporates up to 84 x86-based systems and 2,016 processing cores in a standard EIA 19-inch rack, allowing easy integration into any data center and uses industry standard components including I/O cards and top-of-rack networking switches for flexibility of choice and ease of adoption. New IBM Application Ready Solutions -- updaded high performance cluster based solutions for high performance scale-out applications and can be used to create a dynamic private HPC cloud depending upon user needs. New and enhanced ISV support includes ANSYS, Dassault Systemes, MSC Software, mpiBLAST, and Schlumberger. New IBM InfoSphere BigInsights -- Big Data solutions for telecommunications, financial services, and other industry clients requiring real-time analytics. IBM Global Financing is offering 0% financing for customers choosing PureFlex Systems, Power Systems, Storage Systems, and System x technology. 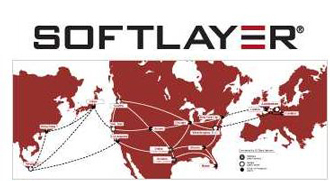 Earlier this summer, IBM acquired SoftLayer Technologies, which operates 13 data centers in the United States, Asia and Europe. Financial terms were not disclosed but Bloomberg valued the deal at about $2 billion. AT&T and GE announced a global alliance agreement to allow GE machines to connect to the AT&T network and cloud, creating the first highly-secure wireless communications system for GE's "Industrial Internet." The companies expect their machine-to-machine (M2M) communications system will allow customers to benefit from increased productivity. Workers using the system will be able to remotely track, monitor, record and operate GE machinery, virtually anywhere in the world. The companies are developing solutions that combine AT&T network technologies, single Global SIM (subscriber identity module), device expertise, security, and cloud access for industrial products like electric vehicle chargers, lighting and engines. The companies also plan to collaborate in the AT&T Foundry innovation center to build M2M solutions for GE's Predix platform for proactively maintaining and remotely controling industrial machines. "GE's collaboration with AT&T validates our shared and common vision for the Industrial Internet," said Bill Ruh, Vice President and Corporate Officer, GE Software. "Together, we see a future where the intersection of people, data and brilliant machines will have an enormous impact on the productivity and efficiency of industries around the world. By connecting machines to the network and the cloud, we are taking an important step to enable workers all around the world to track, monitor, and operate our machinery wirelessly and remotely through highly secure and machine-to-machine communications." Rostelecom, the largest nationwide telecommunications operator in Russia, has selected Infinera's DTN-X platform based on 500 Gbps coherent super-channel technology to extend the reach of its transport IP/MPLS network. Deployments are underway. Financial terms were not disclosed. Rostelecom serves more than 100 million subscribers in 80 regions throughout Russia, offering cutting-edge fixed and mobile telephony, broadband access, television, and cloud solutions to consumers and businesses. Infinera said its Intelligent Transport Network technology gives Rostelecom the flexibility to offer a wide range of 10, 40 and 100 Gigabit Ethernet (GbE) services. Infinera’s 500 Gbps super-channel technology provides high-speed service delivery and high scalability for the multi-terabit transport network. 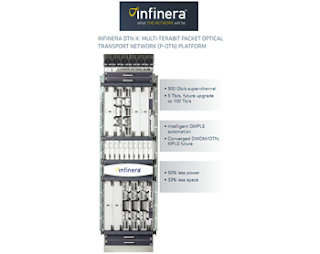 The Infinera Intelligent Transport Network, featuring the DTN-X with photonic integrated circuit (PIC) technology, also allows Rostelecom to reduce operating costs by offering network automation capabilities, multi-layer convergence and high reliability. "We are seeing ever increasing demand for our Intelligent Transport Network solution globally," said Tom Fallon, Infinera CEO. "Our innovative 100G solution, uniquely delivering 500 Gbps super-channels, provides operators like Rostelecom a solution that delivers on scale, speed and flexibility, allowing them to use time as a weapon to differentiate in their market." 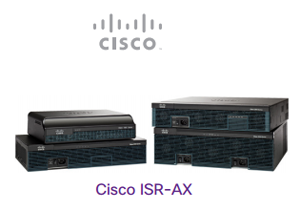 Cisco plans to integrate Akamai Unified Performance technology into its ISR-AX routers. The companies have agree to co-develop enterprise network offerings that are optimized for delivering public and private cloud applications to remote offices. 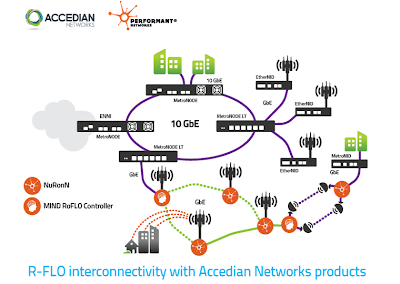 Akamai said its Unified Performance technology caches and delivers content in-branch behind the firewall through a connection to the Akamai Intelligent Platform. This may be an enterprise's own digital content or other content delivered by Akamai. The Akamai solution is also capable of transparently caching other third-party content from top domains. The two companies intend to combine the power of Cisco Intelligent WAN (IWAN), which includes Wide Area Application Services (WAAS) and Application Visibility and Control (AVC), with Akamai Unified Performance to extend the corporate data center and the Akamai Intelligent Platform into the branch, specifically to offload existing network links and improve performance for web and business critical applications. Accedian Networks introduced a "Wireless-Aware" SDN product line that optimizes performance in real-time on fixed-wireless networks by dynamically shaping traffic when link capacity changes due to real-world conditions, such as adverse weather and RF interference. The "R-FLO" solution, is compatible with mixed RF, fiber and copper topologies and complements existing networks by bringing unified high-availability and optimized performance network-wide by using all available links, all the time ̶ including standby and slow segments. The company said its link capacity monitoring allows R-FLO to dynamically groom traffic and maintain QoS even when links fade. 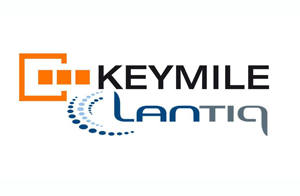 Lantiq and KEYMILE announced volume shipments of system level vectoring equipped VDSL Linecards to a major telecommunications carrier. The company said the deployment will surpass 1.5 million vectored lines in 2013. A majority of these VDSL Linecards is already deployed in the field and vectoring based broadband services are expected to be offered to consumers by the end of 2013. The joint Lantiq/KEYMILE system level vectoring solution supports 192 channels. Bjeorn Claassen, CEO of KEYMILE: "Our joint vectoring solution is a great example of the ongoing strong and valuable collaboration between Lantiq and KEYMILE. Due to this close collaboration we were able to ship a market-ready and market leading vectoring product to our customers, only 1.5 years after official approval of the vectoring standard. We highly value Lantiq as a reliable and flexible partner. The Lantiq solution plays an essential role in our cutting-edge vectoring offering." Dan Artusi, CEO of Lantiq: "Lantiq has a large footprint in VDSL for central office and CPE and is rapidly gaining market share. VDSL, including vectoring and bonded lines, is worldwide becoming the key technology for superfast internet. By shipping the first field deployed System Level Vectoring solution for mass deployment, we reinforce our leading role in VDSL and enable millions of customers to get connected to ultra-fast Internet services." The Stock Exchange of Thailand has deployed the ADVA FSP 3000 for mission-critical storage area network (SAN) connectivity. The network enables the Thailand Stock Exchange to transport information between data centers with low latency, high availability and robust security. 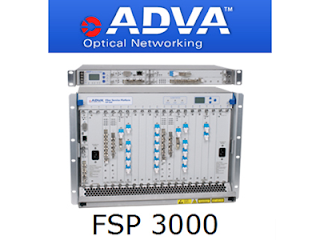 The ADVA FSP 3000 was installed and will be maintained by Stream I.T. Consulting. 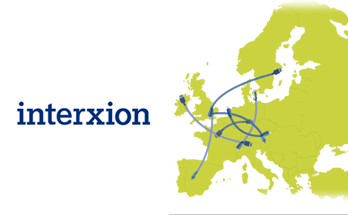 INTERXION disclosed plans to construct its ninth data center on its Frankfurt campus (“FRA 9”) in response to customer demand. FRA 9, which is scheduled to be operational in the first quarter of 2014, will be built in a single phase and will provide approximately 800 square meters of Equipped Space and 1MW of customer-available power. AT&T reached the halfway mark in its target to deploy approximately 15,000 alternative fuel vehicles over the course of a ten year period through 2018. 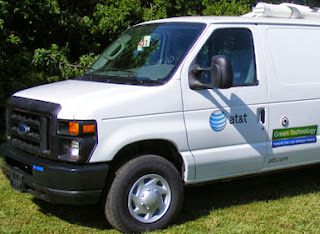 Since AT&T began its commitment, the company has placed over 7,500 alternative fuel vehicles in 44 states nationwide. These vehicles have already enabled AT&T to avoid the purchase of 7.7 million gallons of gasoline. AT&T has a commitment to invest up to $565 million in the program. The 7,500 AFVs AT&T has already placed in service are comprised of 5,474 CNG, 1,996 hybrid electric, 27 extended range electric and 3 all-electric vehicles. The program includes the deployment of up to 8,000 CNG vehicles to its fleet over a five year period through the end of first quarter 2014 – the largest U.S. corporate commitment to CNG to date. Thoma Bravo, a leading private equity investment firm, agreed to acquire Empirix for an undisclosed sum. 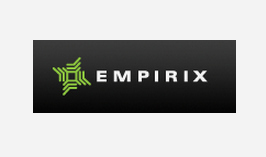 Empirix supplies network testing, monitoring and analytics solutions to service providers, mobile operators and enterprises. The company reports 22 percent year-over-year revenue growth in 2012, partially driven by a significant increase in bookings from global Tier 1 mobile operators. The transaction is expected to be finalized by early November. Recent investments by Thoma Bravo have included include Network Instruments, InfoVista, Blue Coat Systems, nCircle, SonicWALL, Mentum, Solera Networks, Netronome, and more recently Keynote Systems. ADTRAN reported Q3 sales of $177,404,000 compared to $162,125,000 for the third quarter of 2012. Net income was $16,205,000 for the quarter compared to $9,272,000 for the third quarter of 2012. Earnings per share, assuming dilution, were $0.28 for the quarter compared to $0.15 for the third quarter of 2012. Non-GAAP earnings per share for the quarter were $0.32 compared to $0.20 for the third quarter of 2012. The Company also announced that its Board of Directors declared a cash dividend for the third quarter of 2013. The quarterly cash dividend is $0.09 per common share to be paid to holders of record at the close of business on October 24, 2013. The ex-dividend date is October 22, 2013 and the payment date is November 7, 2013. 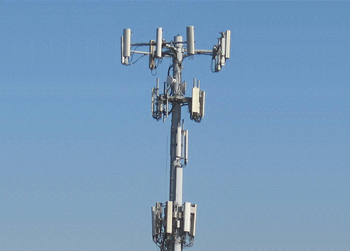 CTI Towers, a wireless tower operator with more than 800 wireless towers throughout the United States, secured up to $30 million in debt financing and closed its first third-party acquisition, purchasing five towers from a major wireless carrier. CTI Towers said the deal extends its strategy beyond Comcast, from whom it has acquired 230 towers to-date.